BiRa Systems MCOR 12 AMP Modules | ACA TMetrix Inc.
SKU: 2/6/12 AMP Modules. 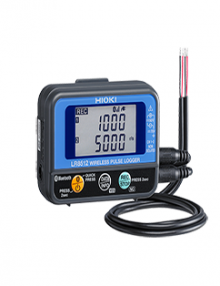 Categories: DC Power Supply, BiRa Systems Inc., Control & Automation, Industrial & Resources, Research, University & Colleges. 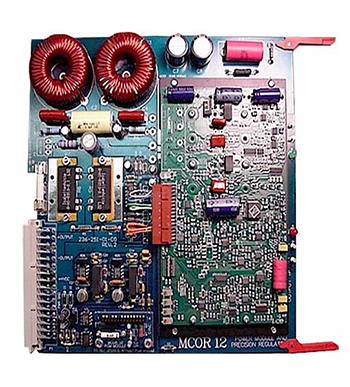 In order to provide “custom-tailored” service to each corrector magnet, yet retain a high degree of modularity and consistency in the driver design, each MCOR 12 power module accommodates a small programming (PGM) card. This card contains a set of passive components that match several important characteristics of power module to its corrector magnet. In addition each PGM card can be configured to allow a 2 amp, 6 amp, or 12 amp output. 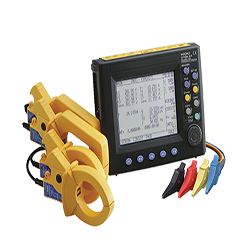 All 2510 MCOR12 Power Modules are identical and interchangeable, and can be used in any application within its ratings. When a module is replaced, the Programming Card is plugged into the replacement module. 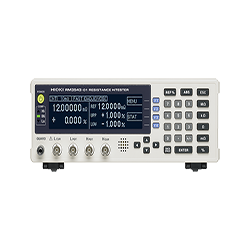 Has two high-precision measurements of output current; one is used to close the regulation control loop, the other provides an independent monitoring signal to the Crate Interface Card. A (momentary) Sync input signal inhibits MOSFET switching when it is active (high); this eliminate switching noise “feed-through “ from the Bulk Power Supply to the AC power lines. 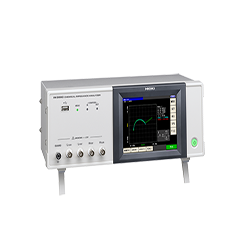 This feature reduces power line noise during sensitive analog signal measurements.